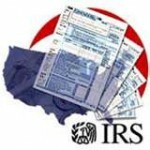 Services For CPA & Tax Preparers - All business, personal & state tax returns. No software required. Tax Return Preparation For All Your Clients. Includes FREE E-file. All states available. For over 30 years I have been providing services for CPA ‘s, tax preparers, and attorneys who prepare tax returns for businesses and the general public. 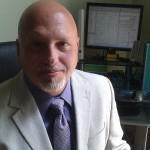 My career began in 1981 with Park Avenue Tax Return Service, Inc. based in New York City. The format was simple, preparer would fill out input sheets, our people would key data into computer, the program (located on mainframe computers at the time) would execute and create a print file with finished tax returns. In 2006 all that has come to an end because of e-file mandates. That’s when I decided to take a chance and took this business to the next level. I am still in the services bureau environment, but now it is a full service for CPA’s & tax preparers. 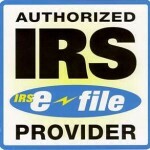 I still use data sheets for input purposes, but because of all the new technology and great software that was written specially for my service bureau purposes, all tax returns can be prepared, emailed, e-filed from the same computer station and you do not need to spend $2,500 – $5,000 for professional tax software to prepare tax returns. No tax preparation software for preparers required. You don’t have to spend hours on the phone with tech support to figure out what you are doing wrong and why you are not getting the result you desire. Your name will appear at the bottom of all tax returns that you prepare. You will see how easy and simple your tax season can be. All you need to do is TRY FREE OF CHARGE. That’s right, no charge on any tax return that you would like to sample. Do it NOW before next tax season rolls around. I have been processing over 2,000 tax returns a year for my clients who love my service and swear by it. Just read the Testimonials from some of them to see how simple and easy their tax seasons have been. New form 1099-K produced confusion, here are some answers. My website is getting a lot of hits with people confused on how to handle new Form 1099-K. Most people don’t know where to make the entry on their tax return. I decided to help and here are some answers to your question. Form 1099-K must be sent by all credit card companies and any other companies that received payments for purchases and passed the money to a business or an individual who sold the goods to a consumer. To make this simple, this is a portion of gross receipts that was paid for by credit cards, PayPal, Google Checkout, and other companies that provide similar transactions. Where do you enter 1099-K information? On form 1040 you have to make this entry on Schedule C (self employment). 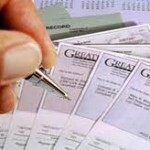 Add up all 1099-K amounts and enter the total on Form 1040, Schedule C, » Read more..
WASHINGTON — The Internal Revenue Service today announced cost-of-living adjustments affecting dollar limitations for pension plans and other retirement-related items for tax year 2013. In general, many of the pension plan limitations will change for 2013 because the increase in the cost-of-living index met the statutory thresholds that trigger their adjustment. However, other limitations will remain unchanged because the increase in the index did not meet the statutory thresholds that trigger their adjustment. Highlights include: » Read more..
WASHINGTON — The Internal Revenue Service today reminded the nation’s 730,000 federal tax return preparers that they must renew their Preparer Tax Identification Numbers (PTINs) for 2013. Also, preparers who have a competency test requirement should take the time now to schedule an appointment for the exam. Anyone who is a paid federal tax return preparer must register with the IRS and have a PTIN, as must all Enrolled Agents. Additionally, some return preparers have new continuing education and competency test requirements. » Read more..
Ready to advance your career? Be ahead of the game by taking the Registered Tax Return Preparer test this summer. Or take the Special Enrollment Exam to become an Enrolled Agent. Both tests are available in all six IRS Nationwide Tax Forum cities! Note: You will not receive continuing education credit for taking the test during the Tax Forums. NOTE: test seats are available on a first come first served basis – sign up early! 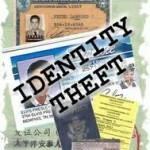 » Read more..
For more information, see the Special Identity Theft Enforcement Efforts – 2012 page. 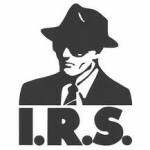 WASHINGTON – The Internal Revenue Service and the Justice Department today announced the results of a massive national sweep cracking down on suspected identity theft perpetrators as part of a stepped-up effort against refund fraud and identity theft. Working with the Justice Department’s Tax Division and local U.S. Attorneys’ offices, the nationwide effort targeted 105 people in 23 states. The coast-to-coast effort took place over the last » Read more..
For tax year 2011, the IRS asks recipients of the Form 1099-K, Merchant Card and Third–Party Network Payments to include the business income from 1099-Ks as part of the aggregate total with other business receipts on their tax returns. The “What’s New” section in the instructions for Form 1040 Sch. C,Sch. E and Sch. 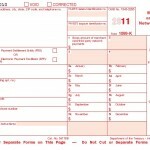 F has information for reporting the income on 2011 tax returns. Please note: This does not change the requirement that responsible entities file and furnish Forms 1099-K for 2011. A payment settlement entity (PSE) must file Form 1099-K for payments made in settlement of reportable payment transactions for each calendar year. A PSE makes a payment in settlement of a reportable payment transaction, that is, any payment card » Read more..
FREE e-File system Launch. No Professional Tax Software needed to participate. WASHINGTON — The Internal Revenue Service opened the 2012 electronic tax return filing season today with a reminder to taxpayers that e-file remains the best way to get fast refunds and ensure accurate tax returns. IRS e-file has surpassed the milestone of 1 billion returns processed. The electronic transmission system revolutionized the way the IRS processes tax returns and made speedy refunds possible. More than 112 million income tax returns were e-filed last year, or 77 percent of all individual returns filed. » Read more..
WASHINGTON — The Internal Revenue Service today opened the 2012 tax filing season by announcing that taxpayers have until April 17 to file their tax returns. The IRS encourages taxpayers to e-file as it is the best way to ensure accurate tax returns and get faster refunds. The IRS also announced a number of improvements to help make this tax season easy for taxpayers. This includes new navigation features and helpful information on IRS.gov and a new pilot to allow taxpayers to use interactive video to get help with tax issues. » Read more..
Due to previously scheduled maintenance on IRS systems, the PTIN system will be unavailable for new applications from 5:00 PM ET on Friday, Dec. 26 until approximately 9:00 AM ET on Monday, Jan. 9. Preparers are still able to renew existing PTINs during this window. We sincerely apologize for the inconvenience. We are exploring ways to mitigate the outage for preparers who cannot meet the December 26 deadline. More to come on this issue.